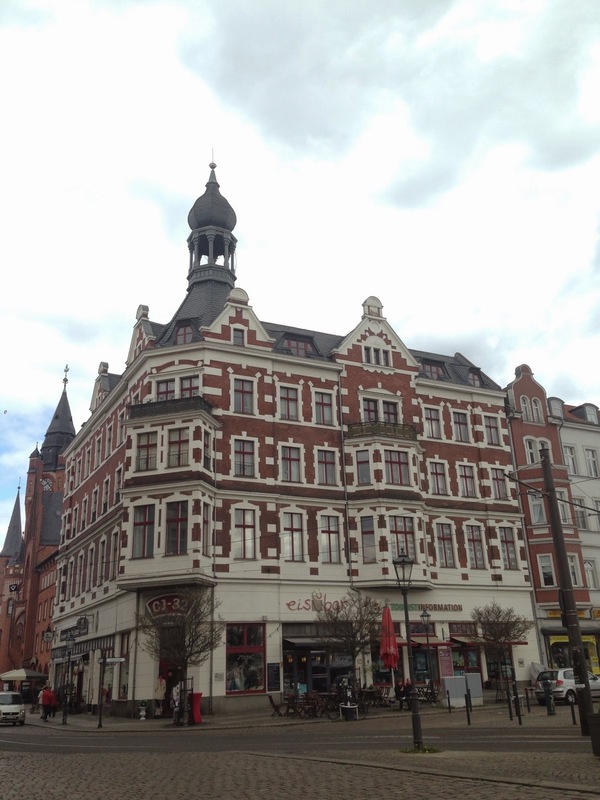 One of the trips I knew I had to make while studying abroad was Germany- my grandmother was born there and while I couldn't visit her hometown I wanted to at least see the country. Since I had a friend from high school who lived in Berlin, it was the perfect excuse! On my first day, after attending a few classes with my friend and exploring his campus, we headed downtown into what used to be East Berlin (where my friend and his family still live), where most of the museums are located. If you need a little refresher course in history, Germany was divided amongst the Americans, the Soviets, the British, and the French after World War II. Berlin was located in the Soviet sector, but the western half of the city was under Allied occupation, while the eastern half was still under Soviet control. The city was reunited in 1989 when the Berlin Wall fell, and Germany has been a united country ever since. 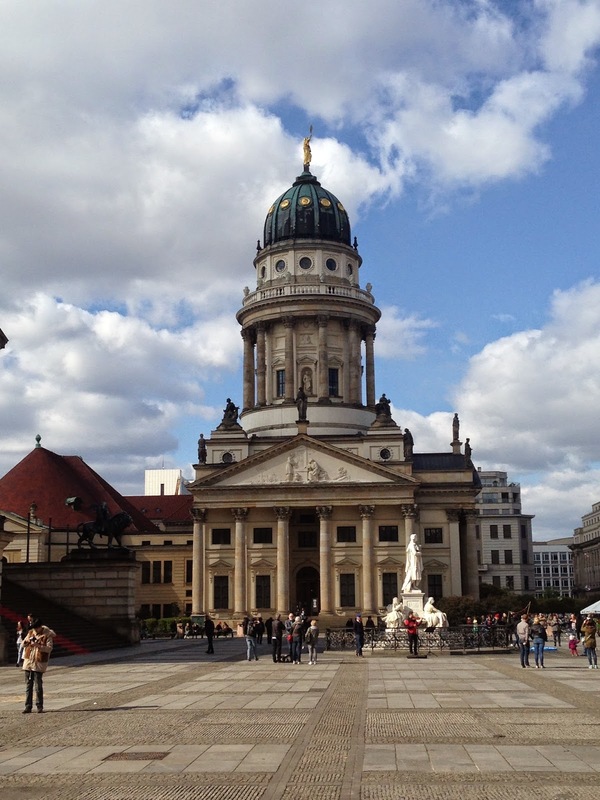 Anyways.....one of the main attractions on the Museum Island is the Berliner Dom, or Berlin Cathedral. There seems to be a trend of me climbing anything that I can here in Europe, even though I hate heights...and since you have to pay to enter the Cathedral anyway, we figured why not climb to the top! Saturday morning we biked around (I came all the way to Germany and I'm still biking everywhere!) my friend's neighborhood, including down the bike path that leads to the lake. 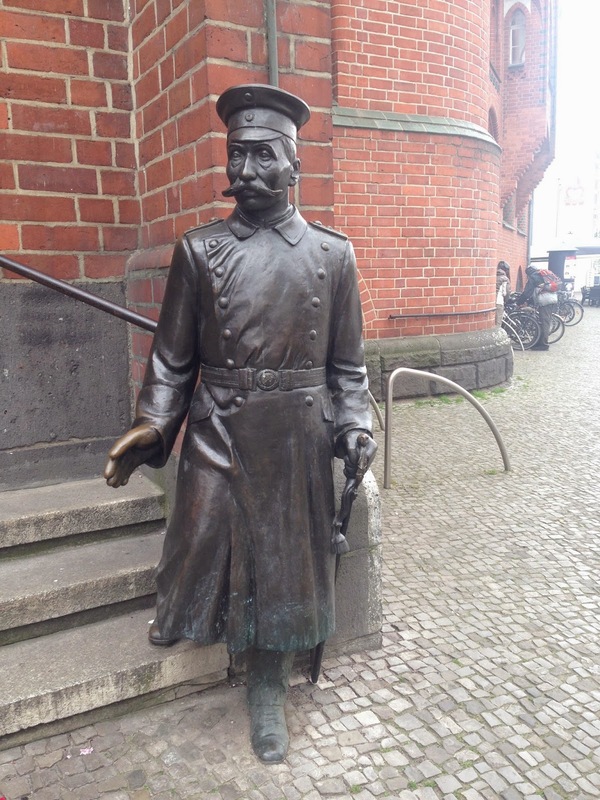 This is Friedrich Wilhelm Voigt, also known as Hauptmann, who dressed as an officer and robbed the town treasury in Köpenick. Kopenick Palace, originally used as a hunting lodge. The little chapel nearby was holding a wedding when we walked by! That afternoon we were back in Berlin for more sightseeing. 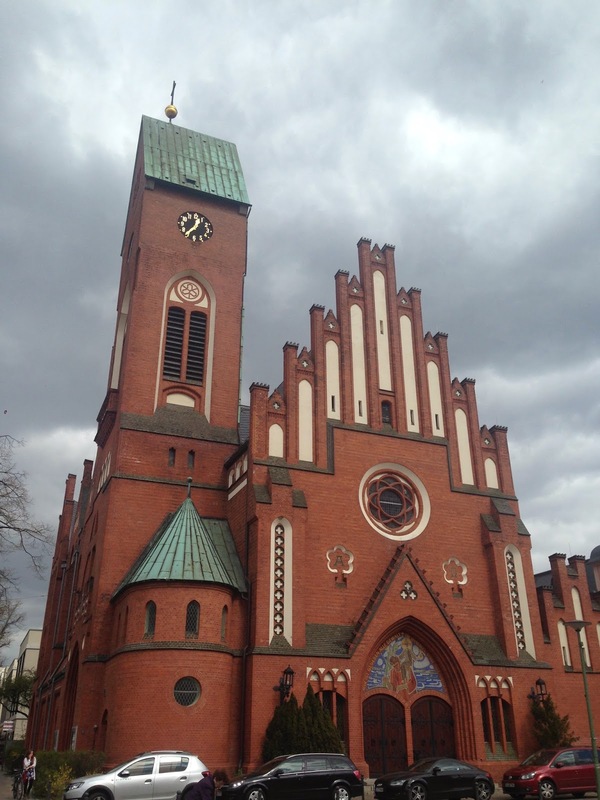 The Berliner Dom from the ground. 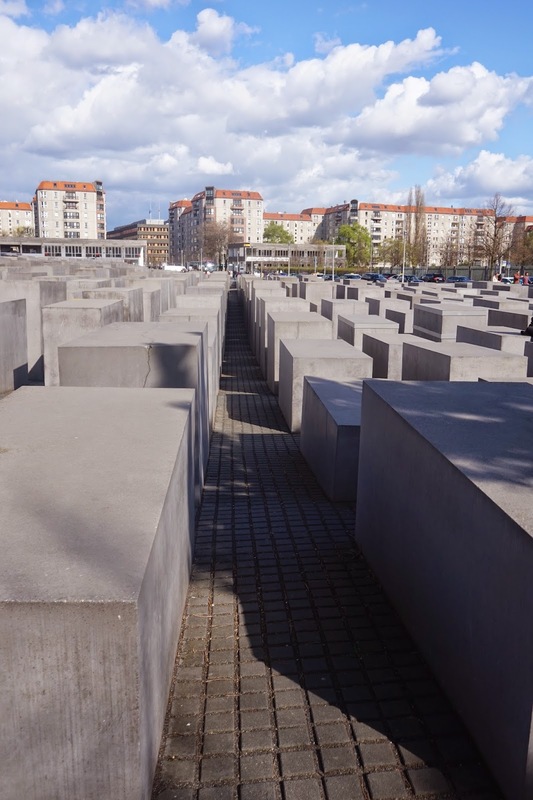 The Holocaust Memorial. It is massive and really takes your breath away. The stones grow taller and taller as you descend downhill until you are completely engulfed in the memorial in total silence. The Reichstag, or Parliament building, which was burned down during the war and rebuilt. You can now climb up to the glass dome and look down on the parliament members, but due to security reasons you have to buy tickets a day in advance. Guess I'll just have to come back to Berlin! The Chancellor's residence and office. The Soviet war memorial near the Brandenburg Gate. After walking around some of the main sites, we headed to the real attraction- the East Side Gallery of the Berlin Wall. After the wall came down, artists were invited to paint what had been the side of the wall that faced East Berlin (which was blank during the separation) in order to commemorate the separation and transform the wall. This bridge, which goes over the river that helped separate the two sides of the city, was used for prisoner transfers. Bellevue Palace, the residence of the President of Germany. Berlin Victory Column- and guess what....you can climb it. The view from the first level. Bullet holes in the columns. When I seemed shocked, my friend replied, "Well, there was a war!" My last day was our museum day, and we hit both the German History Museum and the GDR Museum, which chronicles the history of East Berlin. I highly recommend both, even if you're not a museum person. Give yourself a few hours for the history museum, because it chronicles ALL of German history- we're talking 500 AD to present day. We originally went the day before and were only going to visit for the last hour that it was open, but the woman at the desk told us that wasn't enough time. Thank goodness we listened to her- I would have been so mad if I'd only had an hour! There is so much to see and learn about. The GDR museum is much smaller and really only requires an hour or less, but it's something everyone should see as it offers a glimpse into life in East Berlin. You can climb inside an old East German car, listen to a bugged apartment on old Stasi equipment, see inside a typical apartment, and even sit in an interrogation room. The museum is very interactive and really a lot of fun! 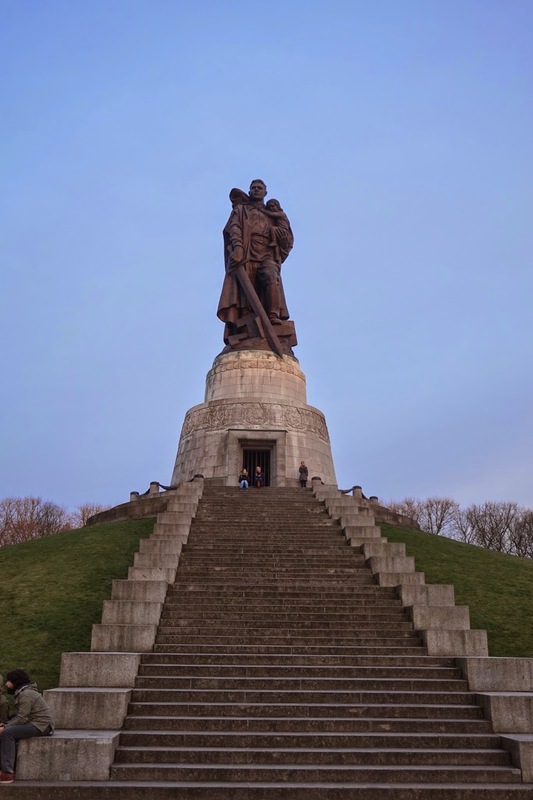 On the way back, we stopped at the Soviet war memorial in East Berlin- it's in a park sort of near the edge of town, and this thing is massive. The Soviet's lost nearly 20 million people during the war, and this monument serves to remind people of that. One of the park entrances leading to the monument. 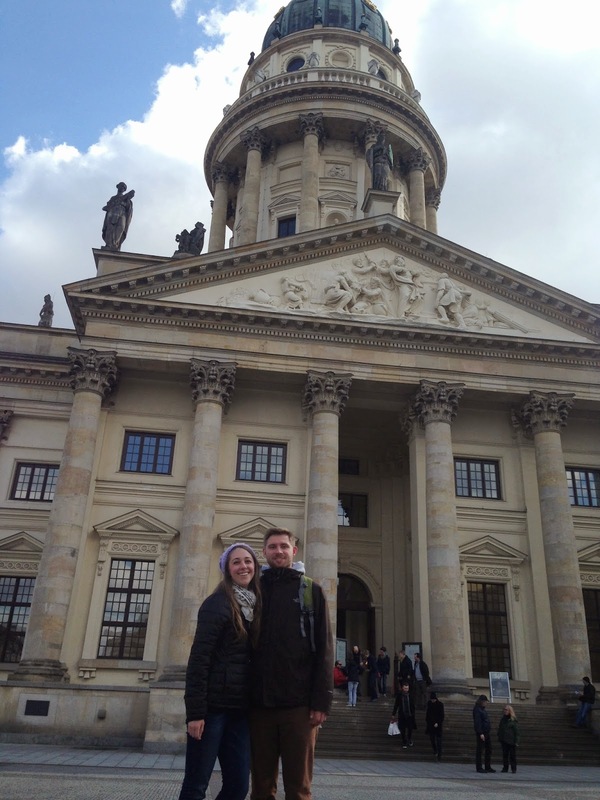 I fell in love with Berlin, something a lot of my friends haven't been able to say. I think my experience was a little different since I was led around by a local- there were so many sights and random buildings and little details that you really would never notice, or if you did you would have no idea what they were! Knowing the history behind this incredible city is important; it's completely different from any other city in the world because of the separation. My recommendation: if you're in Germany or even just in Europe, give Berlin a few days and you'll see how incredible it can be.